If you’re looking for maximum yields and maximum potency in an autoflowering strain then look no further. 3rd generation autoflowering. First evolution of our Fast Bud Auto genetics. Autoflowering variety of good production with large buds full of abundant and aromatic resin. 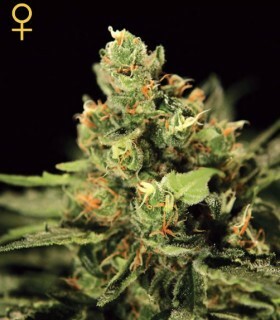 The genetics Super Tai' 98 brings to the new hybrid interesting sativa characters, such as a larger size and soft aromatic spicy, woody and nutty aromas. 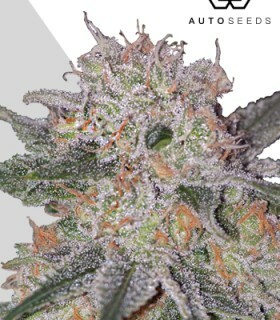 Autoflowering cannabis seeds automatically shift from vegetative to flowering phase regardless photoperiod strains, offering an effortless harvest of premium quality cannabis. 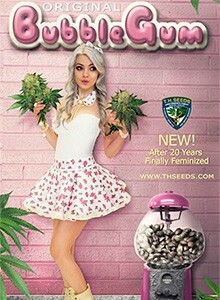 Due to their genetic lineage with cannabis ruderalis, when these seeds reach a certain maturity level, they simply begin to flower on their own without much of the work required for light-cycle and cropping as compared to classical cannabis (cannabis indica and cannabis sativa) with short-day strains in order to flower. Most autoflowering marijuana seeds take less than 10 weeks from seeding to harvesting. There are two major varieties of autoflowering cannabis seeds namely: dwarf and super 'autos'. Despite short stature, dwarf varieties can provide significant yield while super autos can reach over 6 feet tall and take over 100 days to mature. These 'autos', grown outside, can yield multiple harvests in one season because of the short life span from seed to harvest as little as 9-10 weeks. In comparison to classical short-day strains, autos are proven to produce more quality contents & effects. Most autos are quite sturdy and highly resistant to pests, fungal infections and even frost. No need for greenhouse or special plant environment to grow. Can be grown in city atmosphere on regular strains: on the balcony or window ledge. They can also be feminized to generate a wide variety of aroma, flavor & effect. The ease in cultivation makes automatic seeds a great choice for novice growers, while also providing pretty engaging alternatives for those who want to grow them in less warm climatic regions.